This award-winning multimedia maker has produced for the AD Council, TV One and HBO. She is also the past president of Women In Film and Video and a past fellow of the Black Public Media's 360+ Incubator. 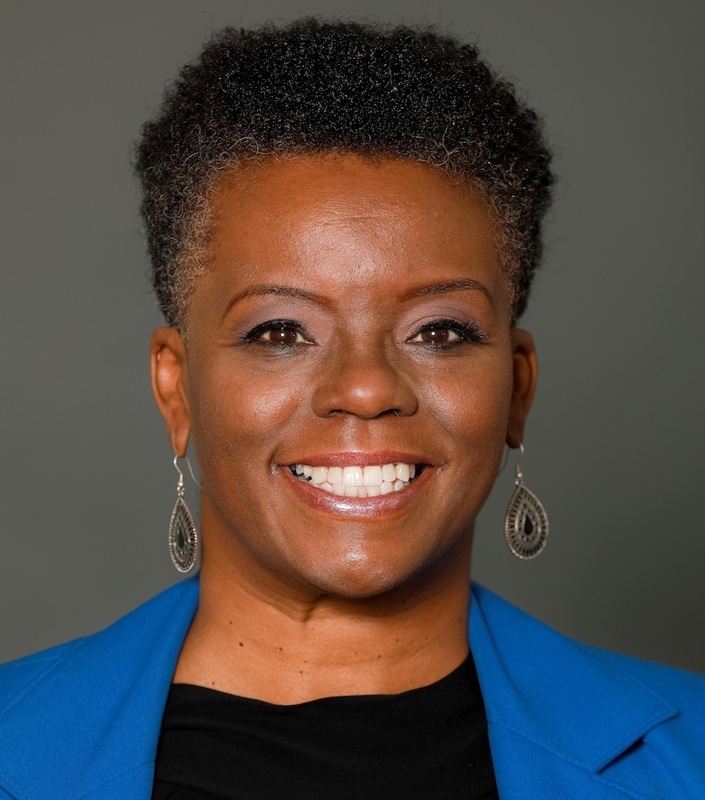 Shellée M. Haynesworth is an award-winning multimedia maker, brand builder, content creator and storyteller, and the owner of Indigo Creative Works. Her creative and storytelling experience has moved between the intersections of arts and culture, education, humanities, social justice, and multicultural engagement. As a storyteller, her focus has been to examine the African Diaspora and unveil the "untold" human stories and "hidden" contributions of African American and Latino change makers throughout the world. Shellée firmly believes that storytelling can have powerful and transformative effects - on civic, cultural and social movements and causes. "I'd like to thank the Office of Cable Television, Film, Music and Entertainment for selecting me as the Filmmaker of the Month. It feels great to know that your work is resonating with others," said Shellée. She continued, "As creatives, producers, and storytellers we often live in our own silo, especially when crafting and telling these stories. And so it's good when people recognize what we're doing and pull us out of that silo to have us talk about our process." Throughout her more than 20+ year career, Shellée has produced outreach campaigns, documentaries, television and digital projects for clients such as the AD Council, USAID, U.S. Department of Education, Smithsonian Institution, Gates Foundation, PBS, NBC, Black Entertainment Television, TV One, HBO/Time Warner, and King World Entertainment, among others. Some of her multimedia credits include: Women's Land Rights: A Ripple Effect (USAID/Gates Foundation), Latino Voices: Art & Culture (PBS/Smithsonian), The HistoryMakers: An Evening with Quincy Jones (PBS), Latino Music Greats (National TV Syndication), Simply Amazing: A Conversation with Frankie Beverly and Cathy Hughes: One on One (TV One/NewsOne Now). Shellée is a multi-generational Washingtonian who is passionate about preserving the black history and cultural legacy of the storied U Street community, which was a very important crossroad for African Americans in the 20th century, through the lens of its African American pathbreakers. Her latest emerging media project, "Black Broadway on U: A Transmedia Project" is a black history project at the intersection of cultural storytelling and immersive technology that chronicles and examines the widely unknown civic, social, and historical significance of D.C.'s historic greater U Street community once known as "Black Broadway" during its heyday, circa 1900s-1960s. "I felt we needed a digital footprint, a space online where someone could go and learn about the history of the DC Renaissance and how it empowered African Americans right here in the District and across the country. My vision is to do a deeper, historical dive by telling the story through the lens of our community, the actual history makers, the people who made this history or had descendants that are from this community," said Shellée. The project has been featured in the National Trust for Historic Preservation's Saving Places, ESPN: The Undefeated, TV One's NewsOne Now, WAMU, Washingtonian and WETA. For more information about the living digital history platform, "Black Broadway on U: A Transmedia Project", visit www.blackbroadwayonu.com. OCTFME launched the "Filmmaker of the Month" initiative as a vehicle for highlighting the talents and creative contributions of filmmakers that make the District of Columbia their home. The "Filmmaker of the Month" initiative is part of OCTFME's mission to elevate the national and international profile of the District's talented filmmakers. Washington, D.C.'s instantly recognizable landmarks, diverse neighborhoods, cultural amenities, and first-class accommodations are just some of the many features that make the nation's capital a venue of choice for media production. For more information, contact the Office of Cable Television, Film, Music and Entertainment at (202) 671-0066, visit us on the web at http://entertainment.dc.gov, join the DC Film community on Facebook, or follow us on Twitter, and Instagram.